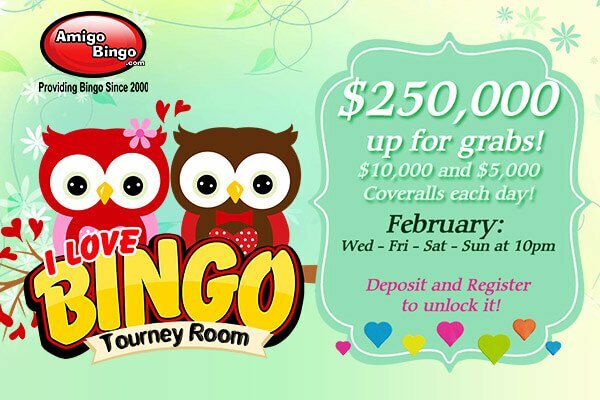 WIN YOUR SHARE of up to $250,000 IN CASH & PRIZES this February! Could someone tell us where January went? Holy guacamole it went by fast amigos! The month of love has arrived with more chances of winning, bigger jackpots and incredible extra prizes! Love will definitely be in the air! At Amigobingo.com love isn't a one-night thing, our love for bingo will last all month long. February is a time for friends, fun, and winning, so get ready to yell bingo! This entry was posted in Blog on Feb 7, 2018 by Amigo Bingo.